Welcome to the official Cornerstone Christian School National Honor Society website! The purpose of this NHS chapter shall be to create an enthusiasm for scholarship, to stimulate a desire to render service, to promote worthy leadership, and to encourage the development of character in students of CCS. On this website you will be able to find important information about NHS such as membership, news, dues, meetings, upcoming events, photos, and contact info. 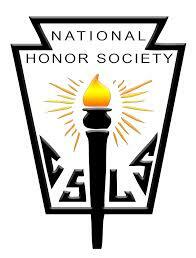 Membership in the National Honor Society (NHS) is based on a student’s fulfillment of four requirements. Members of the junior and senior class who meet all four requirements and complete an application will be considered for the National Honor Society. The four basic requirements for membership are scholarship, leadership, service, and character. View NHS qualifications. Eligible juniors and seniors receive invitations to attend by the Faculty Council. They are responsible for completing an application and documenting their service/activity hours. Once completed, the application is to be turned in to either the office or to the Chapter Advisor, Mr. Kozak, before the application deadline. The Faculty Council will evaluate the requirements of scholarship, leadership, service, and character for each eligible candidate. Final selection of Honor Society members will receive a membership invitation and notification date of the mandatory induction ceremony. Each application is individually reviewed by the Faculty Council and those which are rejected may appeal. All National Honor Society members are expected to maintain membership requirements of the National Honor Society, including GPA, and to take part in National Honor Society service projects. The Faculty Council may dismiss any member failing to fulfill these obligations or place them on probation. Dismissal will result in the removal of the NHS designation from school records and, depending on the severity of the infraction, possible notification of colleges to which the student applied. Every member is required to have a minimum of 25 volunteer hours each semester in NHS. Hours must derive from service with three or more different organizations each semester (ex. Boy Scouts, church, Habitat for Humanity, Ronald McDonald House). Members are also required to serve and participate in one NHS-sponsored event during the school year. To both pick up and drop off service hour forms for documentation, members need to stop by Mr. Kozak’s classroom. Forms must be signed by the supervising adult, dated, number of hours served, and description of service performed. NHS dues are $20 per member per year. Dues cover the honor cords when members graduate and any additional expenses the chapter votes on acquiring (ex. NHS shirt, food at Senior Honors Night). NHS meetings are conducted every Tuesday in Mr. Kozak’s room during home room, following lunch. Meetings will usually last no longer than 25 minutes. Details about NHS-sponsored events and reports of student involvement in the community will be posted in the upcoming months. Check both page, The Chronicle, and the CCS Athletics Facebook page for updates. Images from 2014-2015 NHS activities will be coming soon!